Vanuatu Red Cross Society is inviting proposals from suitable qualified individuals to produce a media campaign strategy as part of their Coastal Cities Resilience project based in Luganville. The consultant will work closely with the project team and provide technical expertise in the development of a communication strategy, communication materials and a monitoring framework based on a scoping study to be undertaken prior. The consultant does not need to be based in Santo although it is expected that some travel to Santo to work with the project team may be required. The aim of the consultancy is to assist Vanuatu Red Cross and the resilience coalition to reach 5,000 people in Luganville with information which will help them become more resilient against the identified impacts of climate change and disasters. 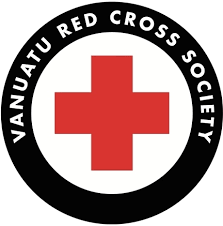 Vanuatu Red Cross encourages proposals from local Ni-Vanuatu consultants.